WashBox24 (Singapore) Private Limited and its affiliated companies ("WashBox24") welcome you to its physical network of lockers (the “Locker”) and its online websites (including all content and functionality available through the http://www.washbox24.com , http://www.box24corp.com and http://www.niti24.comdomain names, the "Site") and/or mobile application (the "App"). 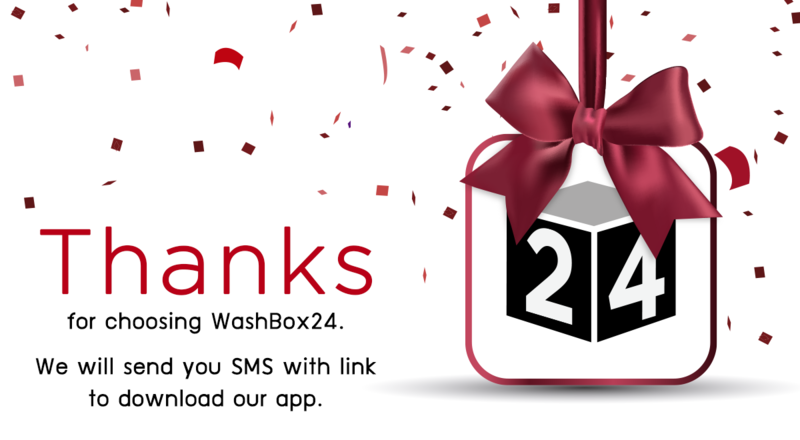 We (the terms “We”, or “Us”, or “Our”, or “Ours” shall refer to WashBox24) are delighted to provide you with access to the Locker, the Site, related data, WashBox24's proprietary software, and content and related documentation and information through the App in connection with certain services provided by WashBox24 and its affiliated companies (collectively the "Services"). By visiting and/or using the Locker and/or visiting, downloading, registering for an account (an “Account”) on the Locker, and/or Site and/or App, accessing or using any part of the Locker and/or Site and/or the App, you (the terms “You”, “Your”, and “Yours” shall refer to any and all users of the Locker and/or Site and/or App (the “User”)) expressly agree to and consent to be bound by (a) the terms and conditions, which can be found at https://www.washbox24.com/sg/terms.php “Terms and Conditions”) and (b) WashBox24’s privacy statement, which can be found at https://www.washbox24.com/sg/privacy.php (the “Privacy Statement”). If you do not agree to the Terms and Conditions and/or the Privacy Statement, you do not have WashBox24’s authorization to use any of the Services and you may not access or use any portion of the Locker, and/or the Site, and/or the App. WashBox24 may modify this terms and conditions at any time, and such modification shall be effective immediately upon either posting of the modified terms and conditions or notifying you. You agree to review this terms and conditions periodically to ensure that you are aware of any modifications. Your continued access or use of the Locker, and/or the Site, and/or the App shall be deemed your conclusive acceptance of the modified terms and conditions. 1.4 User Agreement: In order to access the Service, you will be required to register for a WashBox24 account (an "Account"). You may register for an Account by allowing us to access your name and other profile information through existing accounts you may have on the social networking website Facebook (the "FB Website", and your FB Website profile, the "FB Website Profile"). You agree to: (a) provide true, accurate, current and complete information about yourself when registering for an Account, including any credit card information (your "Credit Card") as applicable; (b) maintain and promptly update your Account to keep it true, accurate, current and complete; (c) review the fees (accessible at http://www.washbox24.com and/or http://www.box24corp.com and/or http://www.niti24.com domain names)(the "Fees") to be charged for Your use of the Services; and (d) authorize WashBox24 and its affiliates to charge your Credit Card for any and all Fees incurred by You for Your use of the Services. If you provide any information that is untrue, inaccurate, not current or incomplete, or WashBox24 has reasonable grounds to suspect that such information is untrue, inaccurate, not current or incomplete, WashBox24 has the right to suspend or terminate your Account and refuse any and all current or future use of the Services (or any portion thereof). WashBox24 is firmly committed to protecting your privacy, the privacy of Users, and the information that WashBox24 gathers. In registering for the Services, you represent and agree that you will not use the Services to track or collect personally identifiable information of Users. For WashBox24's complete privacy statement, please visit and review WashBox24's Privacy Statement at https://www.washbox24.com/sg/privacy.php. WashBox24 makes its best reasonable effort to track every item that we process and will review all lost items claims on a case by case basis. WashBox24's liability with respect to any lost items shall not exceed ten (10) times our charge for laundry, dry cleaning, or ironing, shall not exceed three (3) times our charge for bag & shoe spa, color restoration/dyeing and repairs, regardless of brand or condition, or shall not exceed $150.00 whichever is lowest. Once item is compensated, WashBox24 reserves the rights to retain the item. Any lost items must be reported to us within 48 hours after the items have been picked up at locker or delivered back by our staff. WashBox24 cannot be liable for lost items beyond 48 hours after the items have been picked up at locker or delivered back by our staff. When leaving items in locker, please ensure that your locker has been correctly closed and locked. WashBox24 is not responsible for any loss or damage resulting from a failure to properly close or lock the Locker. This Terms and Conditions was last updated on 2 September 2016.